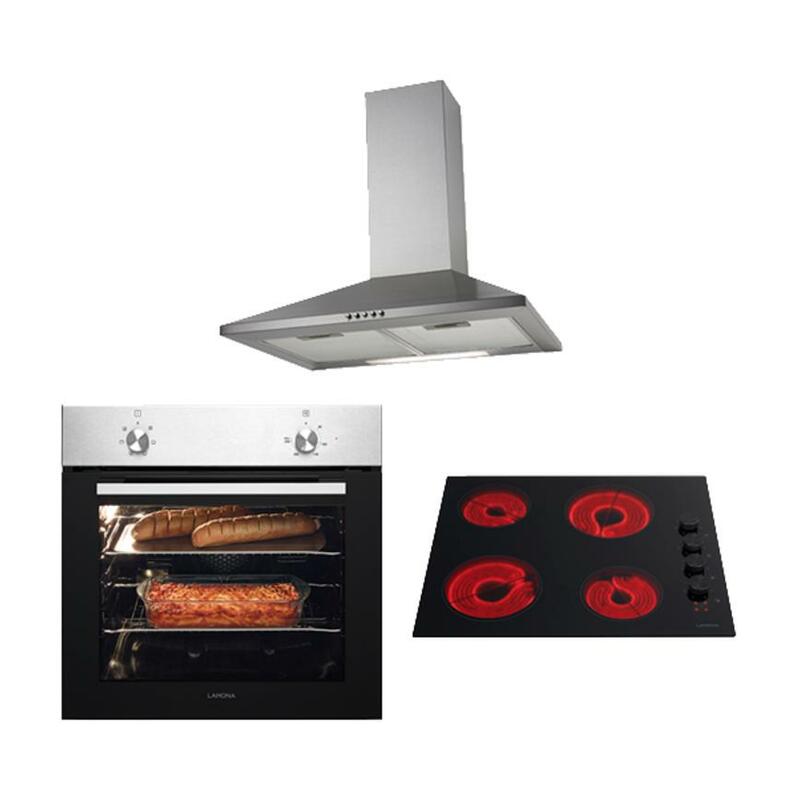 Save time when choosing appliances with this Lamona cooking package, which contains a single oven, ceramic hob and chimney extractor. Creating a functional kitchen can be easy thanks to this Lamona cooking package. It offers a single fan assisted oven for easy dinners, a four zone ceramic hob which can be quickly cleaned and a chimney extractor to keep your kitchen free of fragrant smells.